variety of vitamins and nutrients that help to boost energy. Most energy-boosting supplements found at retail stores often contain a high amount of sugars. One type of botanical that can provide you a various health benefits is Moringa. 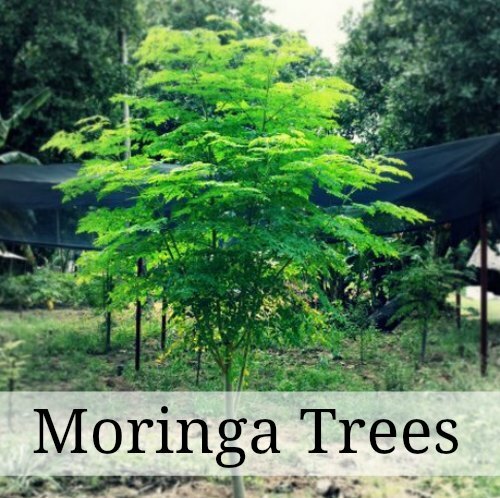 The Moringa tree is typically found in tropical and subtropical climates. This means most people who live near Mexico can grow this tree. People who live in other areas will need to order various products that are made from this tree on the internet. Every part of the Moringa tree has a useful purpose. This tree has pods, flowers, and leaves that have a variety of medicinal uses. The leaves can be eaten raw in a salad or steamed like a vegetable. There are numerous nutritional benefits when you use the leaves of the Moringa to make a smoothie. You may be surprised to learn the leaves of the tree are a good source of vitamin C, potassium, protein, calcium, and beta-carotene. A lot of people may cook the leaves to flavor foods. Another interesting thing to know about the Moringa tree is the healing benefits that are available. All parts of the tree may be used to treat many types of medical problems. This includes problems with digestion, inflammation, infectious disorders, and many others. Some of the medical benefits seen with Moringa may seem unfounded, but the nutritional aspects cannot be overlooked. Anyone who is interested in a dietary supplement that has many health benefits, then this plant offers a great solution. If you live in a suitable climate, then you can grow this tree to harvest various pieces for your own uses. This is a great option for anyone who will want to be self-sufficient and needs a source of organic foods.